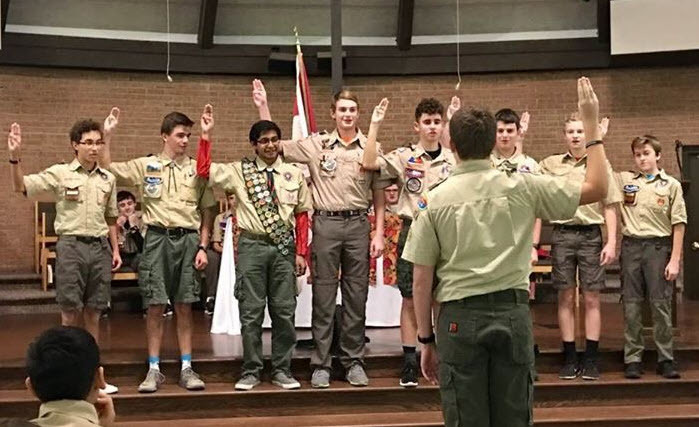 There are many opportunities within the Troop for Scouts to take on leadership roles. The top youth leader in the troop is the Senior Patrol Leader, a yearly elected position. The Senior Patrol Leader chooses Assistant Senior Patrol Leaders to help him run the troop for the year. Other key positions include Patrol Leader, Troop Guide, Instructor, Quartermaster, Chaplain Aide, Den Chief, Scribe, Librarian, etc. The requirements and responsibilities of each of these troop positions is attached here.